I sported this look a few weeks ago when the weather was still nice and warm. 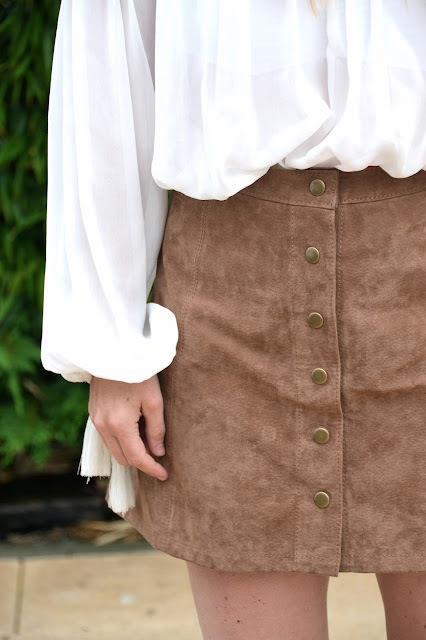 This leather skirt was an absolute bargain that I purchased in Spain in Stradivarius. 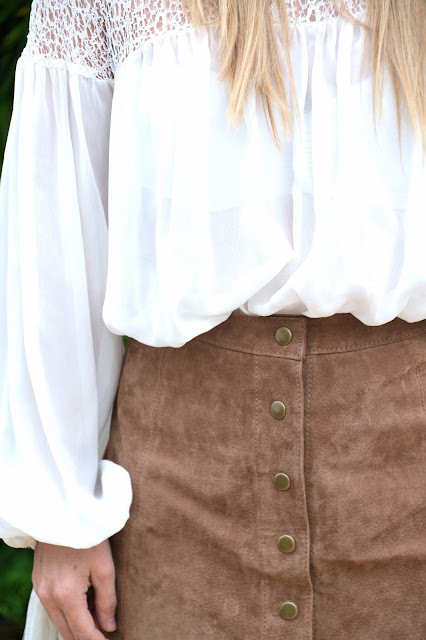 I love how the brown suede looks against a crisp white shirt. It's one of those skirts that will be an absolute staple in my wardrobe collection as well as during summer and winter months. Have you been rocking a suede skirt ? Let me know below and mention the link to your latest blogpost ! I love to see your looks!